Tura was founded with the idea that eyewear is another fashion accessory. Tura offers a unique combination of fashion and comfort with its wide range of designer eyeglasses and sunglasses. Intricate designs and delicate details give the collection a style all its own. Artistic frames provide an edgy, modern look not found anywhere else. 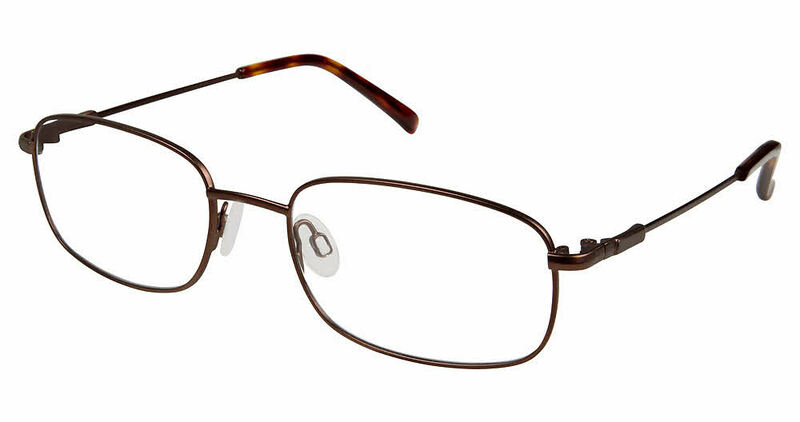 Tura M962 is a Full Rim frame for Men, which is made of Memory Metal. Memory metal can be bent and twisted and still come back to its original shape. Not only does memory metal "remember" its original shape, and it is also light weight and durable. Tura M962 Eyeglasses come with a cleaning cloth and protective carrying case.